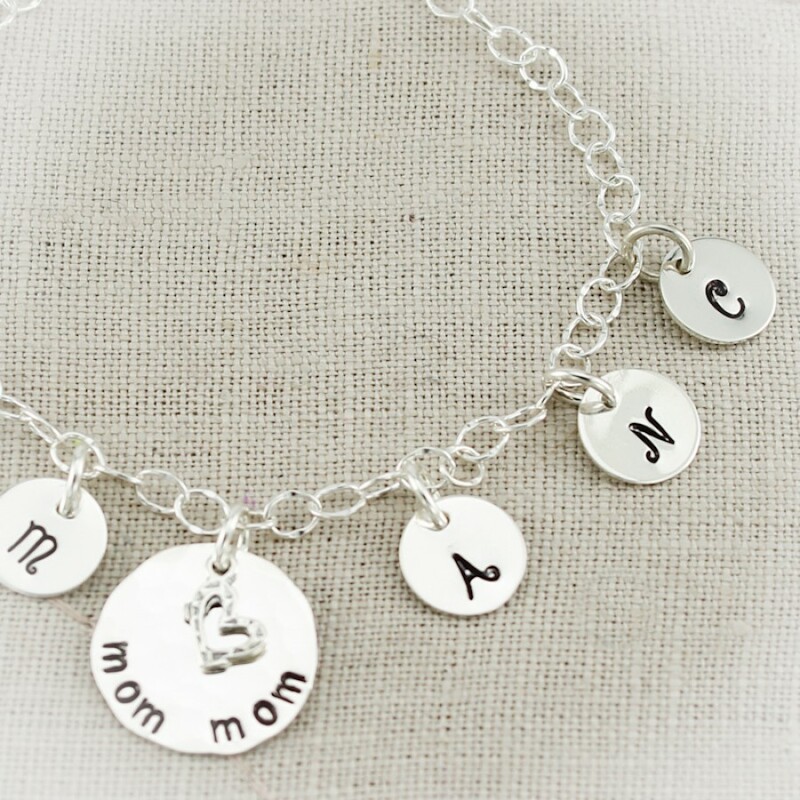 A charm anklet with your choice of name or words on a 5/8" hammered disc. A tiny charm tops the disc. 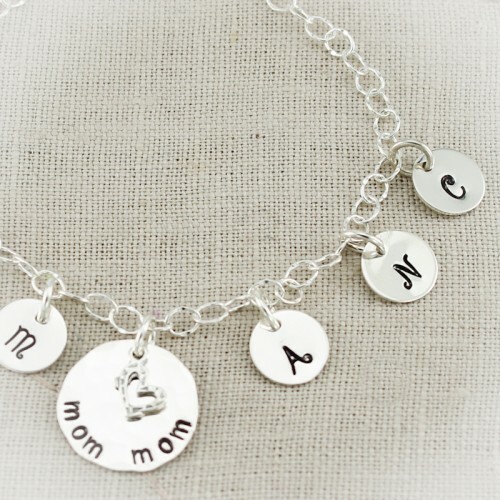 Initials, 3/8", of each of your loved ones surround the disc. 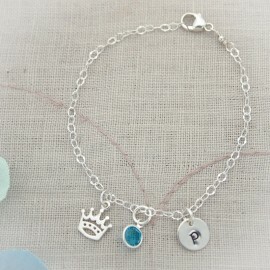 An optional sterling silver puffy heart charm, attached to the end, finishes the bracelet. 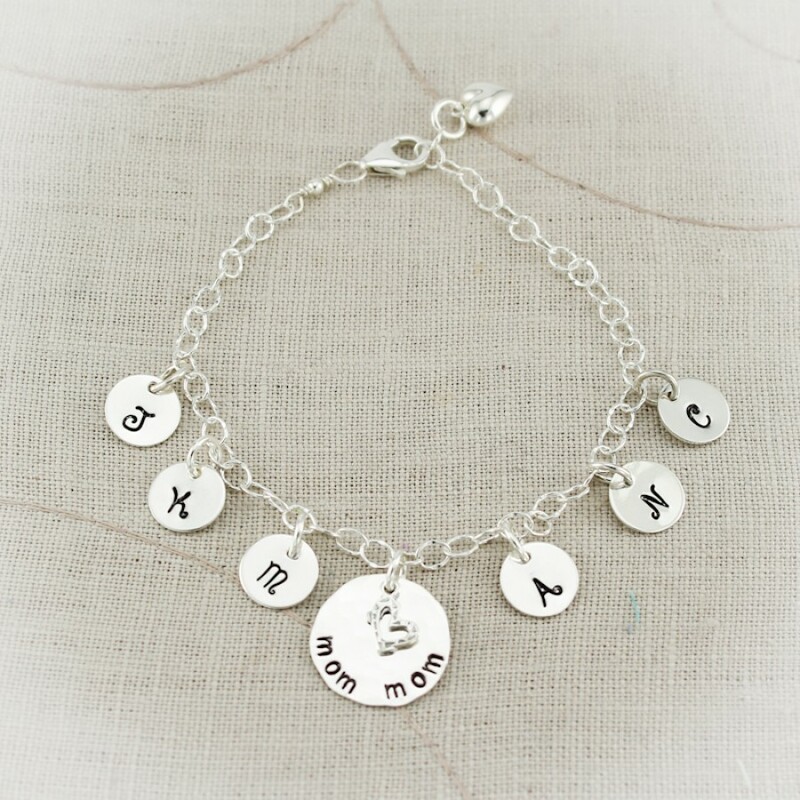 Price includes anklet and disc with charm. 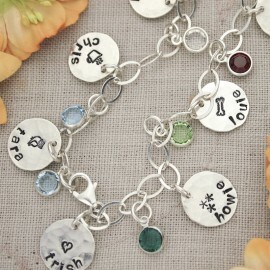 Initial charms are additional. Sterling silver anklet chain is finished with a sterling silver lobster clasp. 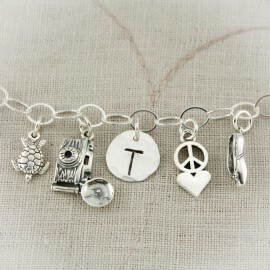 All charms are attached with 5.8mm sturdy sterling silver jump rings.